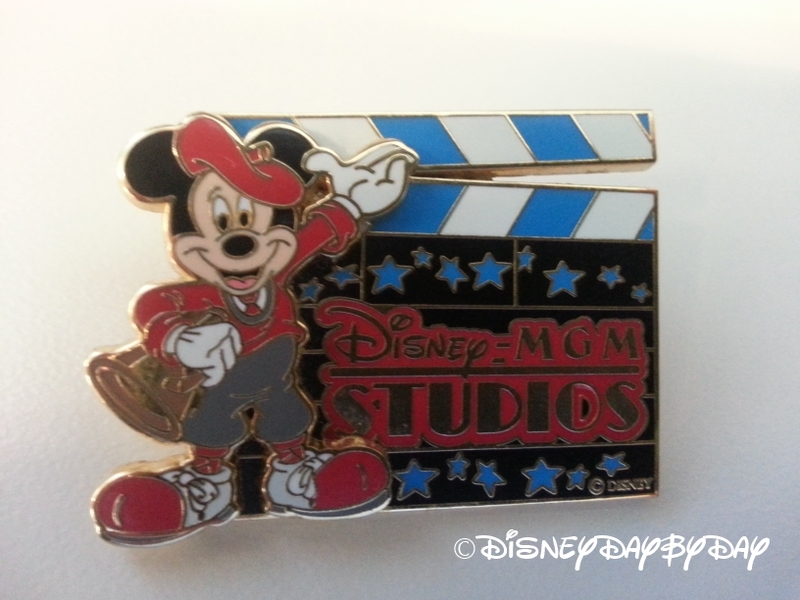 We will always call it MGM Studios…. For those of you new to the Disney World Family you know this park as Hollywood Studios, but to us it will always be MGM Studios. Where did MGM Studios come from? In the 80’s two Imagineers, Marty Sklar and Randy Bright were working on the plans for two new pavilions for Epcot’s Future World. As their ideas unfolded they came up with what would later become the Wonders of Life and Great Movie Ride pavilions. 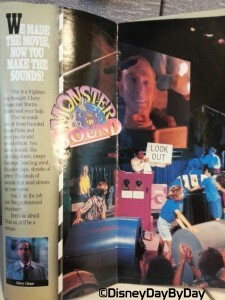 As they presented these to Michael Eisner he indicated that it would be better to wrap the Great Movie Ride around an entire park themed with entertainment and show business. In 1985, Disney and Metro Goldwyn Mayer entered into the licensing contract which gave Disney the rights to use the name MGM. Three years later in 1988 MGM filed the first lawsuit stating that Disney violated the contract by operating a working movie and television studio on the property. The MGM Studios theme park opened on May 1st, 1989 keeping the name which allowed the logo use and items to be displayed in the Great Movie Ride attraction. Lawsuits between the companies went back and forth, in the meantime MGM opened MGM Grand Adventures Theme Park in Vegas which closed in 2000. Paying the lawyers all came to an end on August 9, 2007 as Disney announced the re-branding to Disney Hollywood Studios. 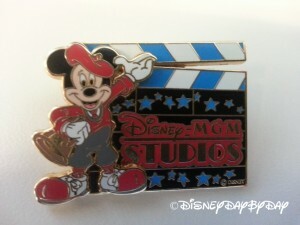 MGM Studios, Hollywood Studios, what do you call it? Comment below and let us know, be sure to visit all the other great Disney history on the hop today! If you don’t know by now, I’m an Ice Creamaholic. The first step is admitting, right? 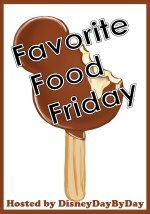 Well imagine the joy in my eyes when we found Dad’s Brownie Sundae at the 50’s Prime Time at Hollywood Studios. Being that I am a Dad it was a requirement that I try the mouth watering treat. Dad’s Brownie Sundae is made up of a Brownie covered with Vanilla Ice Cream, Hot Fudge, Caramel sauce, whipped cream and other magical toppings. Feast your eyes, yes that is Cracker Jacks and M&M’s. Please note that just because it’s called Dad’s doesn’t mean you have to be a Dad to try it. 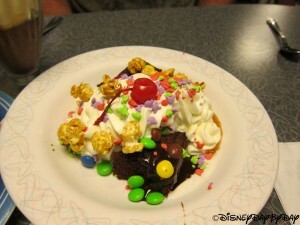 If you are eating at 50’s Prime Time, be sure to save room for Dad’s Brownie Sundae. I can hear it calling my name….. My name is Sean and I’m an Ice Creamaholic. Get the InLinkz code to share on your Food Post!! 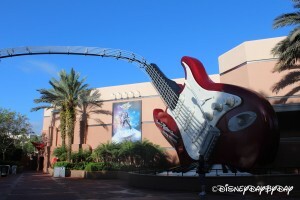 Tiggerific Tuesday Trivia: What do the PeopleMover and Rock ‘n’ Roller Coaster have in Common?? 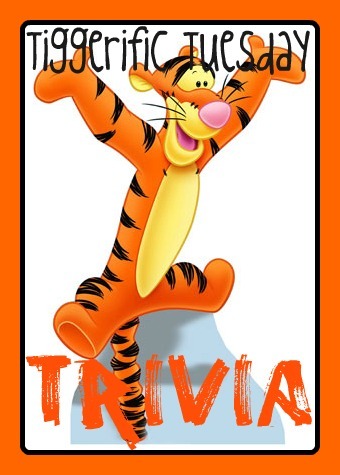 Did You Know Today’s TIGGERIFIC TUESDAY TRIVIA On what the PeopleMover and Rock ‘n’ Roller Coaster have in common?? If you guessed wait times, you are incorrect. The PeopleMover is propelled by a Linear Induction Motor (LIM) which is the same system used to propel the Rock ‘n’ Roller Coaster to 60 MPH. 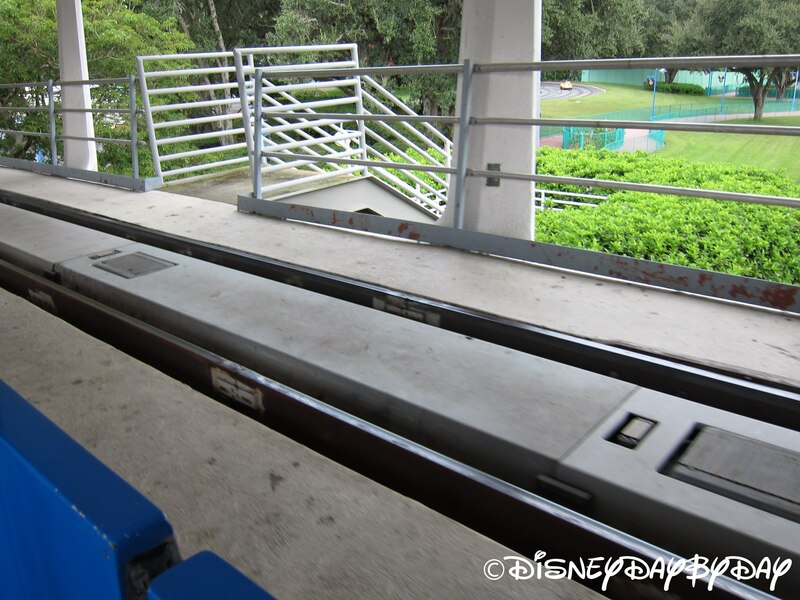 Though the PeopleMover never reaches a speed over 7 MPH, the linear motors use an electrical current to create an electromagnetic field. 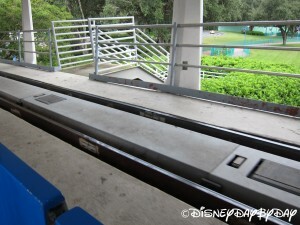 The PeopleMover vehicles have magnets on them and the interaction with the magnetic fields create propulsion and move the vehicles along the track. The system is great on the environment and also on repair costs as fewer parts break down due to friction. 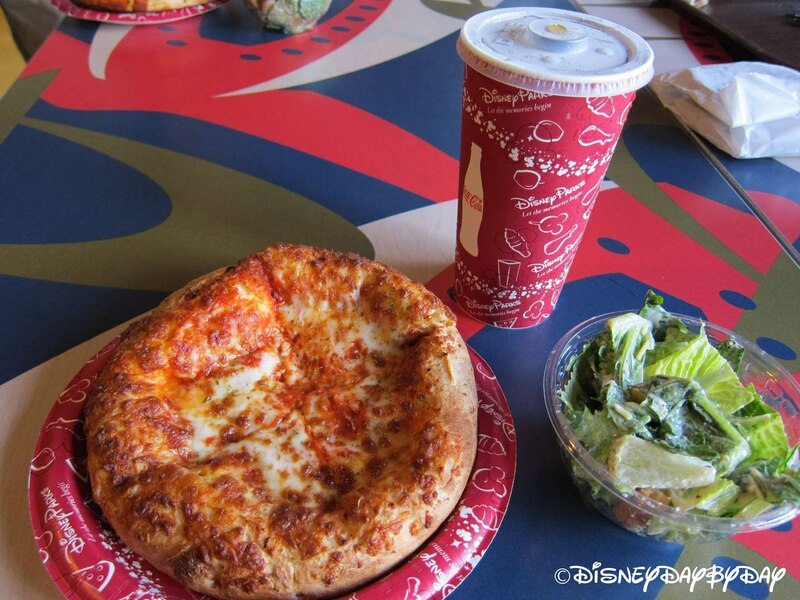 Hungry for pizza at the Hollywood Studios, be sure to check out Pizza Planet. Even if you aren’t hungry stop in and play a few games, the claw game seems to get a lot of our money. Either way you will want to get a chocolate chip cookie for the road. The kids will have a blast, but the games can cause the indoor seating to get a bit loud so sitting upstairs is recommended. Get the InLinkz code to add to your post here. Did You Know Today’s TIGGERIFIC TUESDAY TRIVIA About Rock ‘n’ Roller Coaster? We all know that each of the Rock ‘n’ Roller Coaster limos go from 0 – 60 in 2.8 seconds and that there are 125 speakers and 24 subwoofers per limo, but did you know that they built the entire coaster then constructed the building around it. Yes, folks, it’s true, in this case the roller coaster came before the egg err I mean building. But it is too bad you don’t get much time to experience the building as the ride only lasts 1 and a half minutes so be sure to look around.